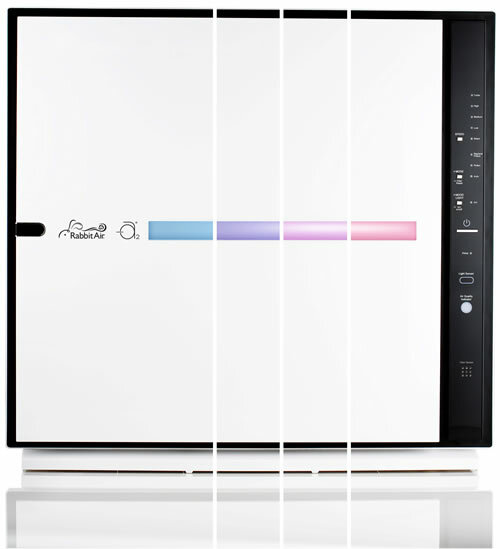 Rabbit Air's advanced air purification systems are designed to remove odors, fine particles, harmful chemicals, and allergens. This stylish efficient unit quietly purifies the air while you smoke. 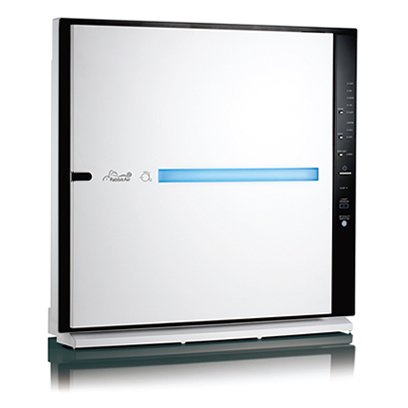 The MinusA2 SPA-700A air purifier will filter all of the air in a room up to 700 sq. ft. (or 815 sq. ft. for the SPA-780A) twice in an hour on the high setting. 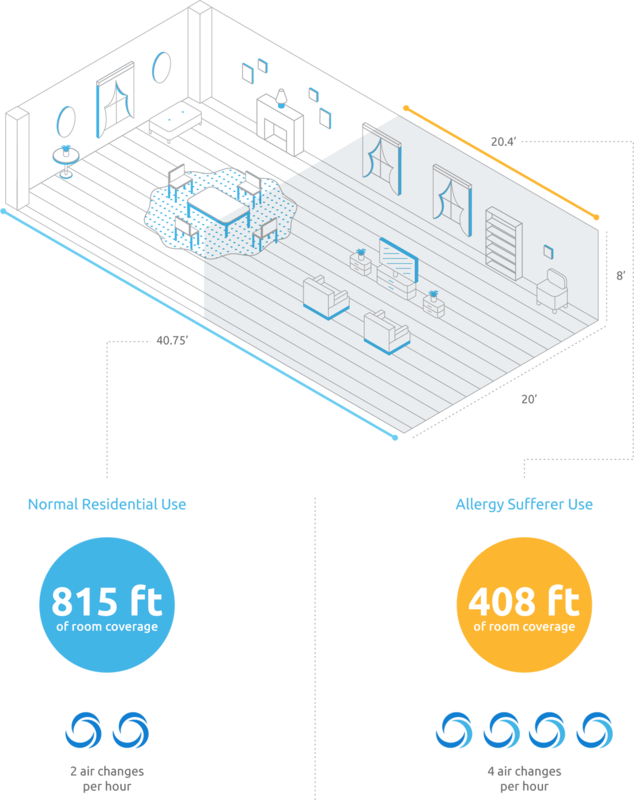 Room coverage is determined by Air Changes Per Hour (ACPH). An air change per hour translates to how many times an air purifier can clean a room in one hour. For example, 2 air changes per hour shows that an air purifier can clean a room once every 30 minutes. An allergy and asthma sufferer needs at least 4 air changes per hour, which means an purifier can clean a room at least once every 15 minutes. 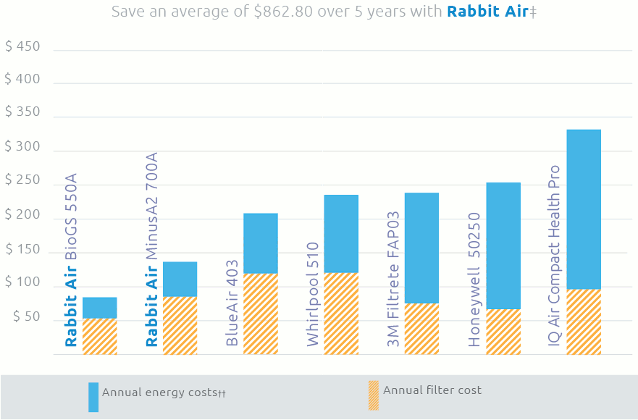 Rabbit Air's MinusA2 air purifiers are designed to adapt to and complement any space. For a flash of color, decorate with one of our Artists Series front panels, or conserve floor space by hanging your unit on the wall. 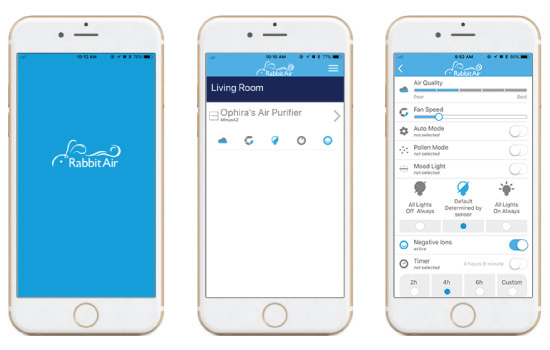 Tailor your air purifier's filtration power to your needs by choosing a Customized Filter option. Create the perfect air purifier for your home. As Japan's most cherished flower, the cherry blossom is traditionally celebrated during its annual arrival by gathering with friends under the trees to enjoy sake, sing songs and celebrate the coming of spring. In the past, Japan has offered cherry blossom trees to foreign countries as symbols of peace. Designed by the Rabbit Air creative team, this simple silhouette of a tree was inspired by the shadows cast by cherry blossom trees on white sandstone in early spring. This model is only available in white. Dutch post-impressionist artist Vincent Van Gogh sold only one painting in his lifetime, yet his The Starry Night is one of the most famous works of art in the world. Thick, swirling brushstrokes give motion to a sky of deep blues, greens, and yellows over a dark church spire and a quiet town. Painted in 1889, the masterpiece evokes Van Gogh's homeland, the Netherlands. A cloudless night reveals a mosaic of stars. 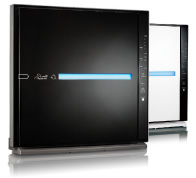 The SPA-700A model is only available in white and the SPA-780A is only available in black. This calming design depicts French Impressionist Claude Monet's most familiar subject, the water lilies floating in the pond in his beloved garden in Giverny, France. One of hundreds of water landscapes he painted in the later part of his career, this detail offers a dreamy wash of greens, yellows, and blues. This model is only available in white. Katsushika Hokusai (1760-1849), was a bohemian painter and printmaker. Born in Edo (now Tokyo), Hokusai is best known for his woodblock print series "thirty-six views of mount fuji," (c.1831) which includes the iconic and internationally-recognized print, The Great Wave off Kanagawa. A majority of Hokusai's most popular wood-block prints, silkscreens, and landscape paintings were done between 1830 and 1840. Despite a prolific career, Hokusai lived a very modest life in poverty and retained his simplicity. The SPA-700A model is only available in white and the SPA-780A is only available in black. The MinusA2 is designed to either stand alone or to be mounted on the wall. A happy home should be a place where you can relax, rejuvenate, and reconnect with your family. We designed our MinusA2 air purifiers using a holistic approach, so that they contribute to the comfort of your home by doing much more than providing clean air. Our whisper quiet operation allows you to run your purifier any time without fear of distraction, while our light sensing sleep mode dims the lights when the sun goes down for undisturbed sleep. Turn on the soft, multi-color mood light when you want a soothing spectrum of light to relax with, or if you are always on-the-go, select the intelligent automatic mode and the MinusA2 will adjust itself so that you just relax and enjoy the clean air. 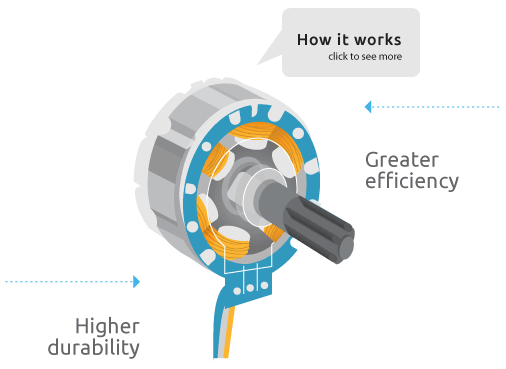 The cutting edge BLDC motor operates at five different speeds. It’s virtually silent at low speed. 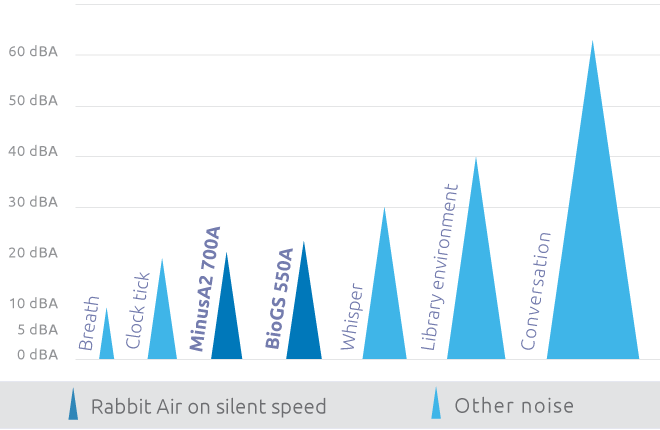 A light sensor will automatically transition the unit to sleep mode when the MinusA2 is in a dark room, and resumes a more active mode when light levels increase. Wind down with the LED mood light on the front panel, which can be turned on to produce a soothing spectrum of colors. With filters lasting up to two years with 12 hour daily operation, and our Energy Star rated motor, the MinusA2 keeps costs annual costs low. Why is the MinusA2 air purifier Certified asthma & allergy friendly™by the Asthma and Allergy Foundation of America (AAFA)? The asthma & allergy friendly™ Certification Program, administered by the Asthma and Allergy Foundation of America (AAFA) is an independent program created to scientifically test and identify consumer products that are more suitable for people with asthma and allergies. The Certification Program has included certifying air cleaners in order to address some of the contaminants that may be present in indoor air and to scientifically validate that air cleaners contribute to the goal of allergen reduction.